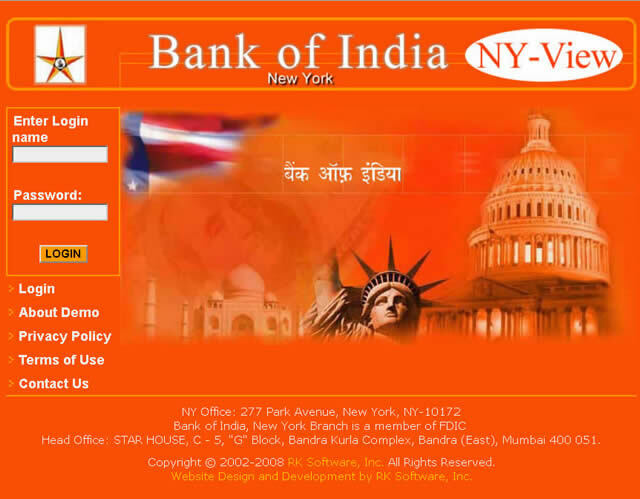 Bank of India Implements RKSI’s Online Reporting Solutions | RK Software, Inc.
Online MT 940/950 Reporting Solutions & Reconcilliation. Bank of India is a premier and one of the oldest commercial banks in India, with presence all over India as also in all time zones of the world. The Bank has a glorious history dating back to the early years of this century. The Bank was founded in September 1906 and has all along maintained a position of pride among the top 5 commercial banks in the country. In July 1969, Bank of India was nationalized alongwith 13 other large Indian commercial banks. Since then, the Bank has made enormous contribution to India’s efforts towards agricultural and rural development, industrial diversification and modernization and export development. Keeping pace with financial sector reforms in India, the bank has ventured into Merchant Banking, Mutual Funds, Housing Finance, Custodial & Depository through it’s subsidiaries. Today the Bank has over 2594 branches spread all over India and 23 branches/offices overseas – in 10 countries, spanning all time zones. The Bank has a pre-eminent position in both wholesale banking and retail banking in India. Bank of India believes in “Total Package Approach” to meet all the financial and non-financial requirements of its customers. Entrepreneurs are not only assisted in establishing their projects, but are also helped in day-to-day operations by providing necessary working capital finance either on its own or through syndication. The Bank also provides guarantees, letters of credit, remittance facilities, supplier’s credit, forward cover, advisory services for hedging exchange rate and interest rate risks, trade information reports, bankers’ opinion reports on buyers and sellers, industry status reports and prospects, etc.In the new era of economic and financial sector reforms leading to progressive liberalization and globalization of the Indian market, Bank of India is poised to further it’s position as a market leader and innovator in financial services.The Bank looks at the new competition emerging in the Indian banking and financial sector as an oppotunity to improve it’s customer servicing capability and overall performance.The bank is pushing ahead with it’s plans to computerize all it’s major branches and administrative offices and has also installed ATM’s at few centers. To communicate with the existing Legacy Banking System Software to collect data and transfer it in a secure web location to make it available to the various accounts to download the Money Transaction Reports.